Greetings guys! I hope you're all having as great of a day as I am. 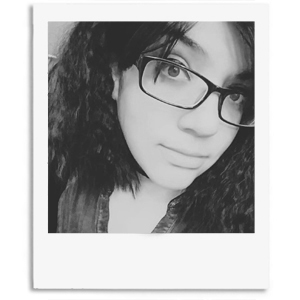 Though I have no idea why I feel so peppy this afternoon because I ended up going to bed at 6 a.m. and waking up around 3 p.m. Talk about a messed up sleep schedule, haha. I feel like I turn into a child when I don't have to work and want to stay up late as much as I can. Either way I'm so full of happy holiday cheer, mostly due to today's swatches. Yes ladies, get out the holiday lights and eggnog. 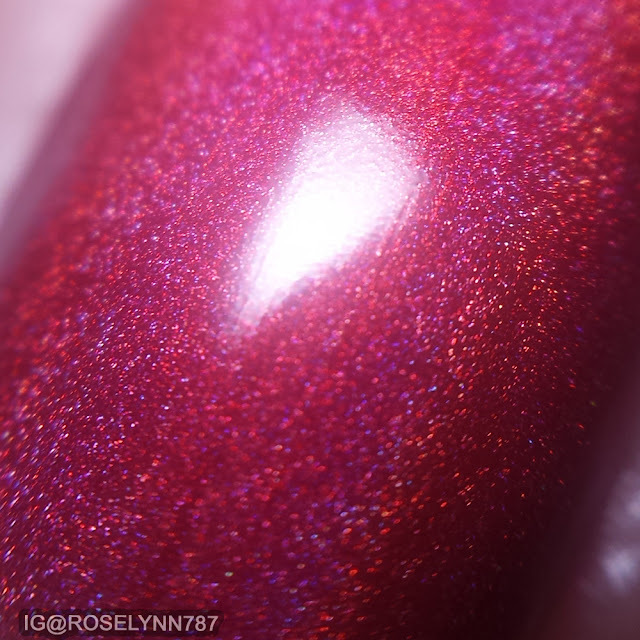 Without further ado, let me share with you all four holo polishes from Daily Hues Lacquer's Holiday 2014 Collection. Bare in mind, however, that I'll only be sharing four of the shades in this massive collection in today's post. The entire Holiday 2014 Collection by Daily Hues Lacquer is already available for purchase. And as I mentioned before, this collection is definitely massive. Besides the four polishes here, there are also six others that are available in glossy and matte finishes. 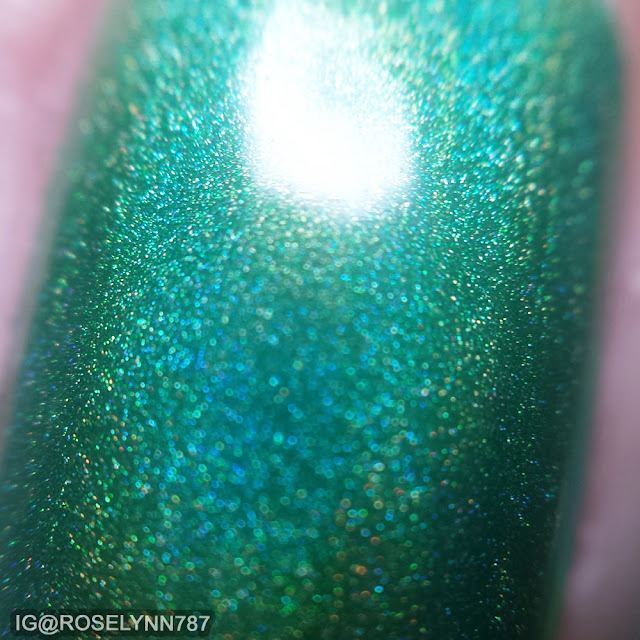 Holly is a green linear holo polish. As far as I'm concerned, this is the perfect Christmas tree green for the holidays. The deeply pigmented holographic polish goes on fantastic with just one coat! The formula and consistency are great and apply very smoothly. For these swatches, I used one coat and sealed it in with a glossy topcoat. Carol is a red linear holo polish. If you know anything about me, you should know my love for the classic red. One of my favorites from this collection that perfectly captures the Holiday cheer. The formula is the same as Holly and is definitely a great one coater and I sealed it in with a glossy topcoat. 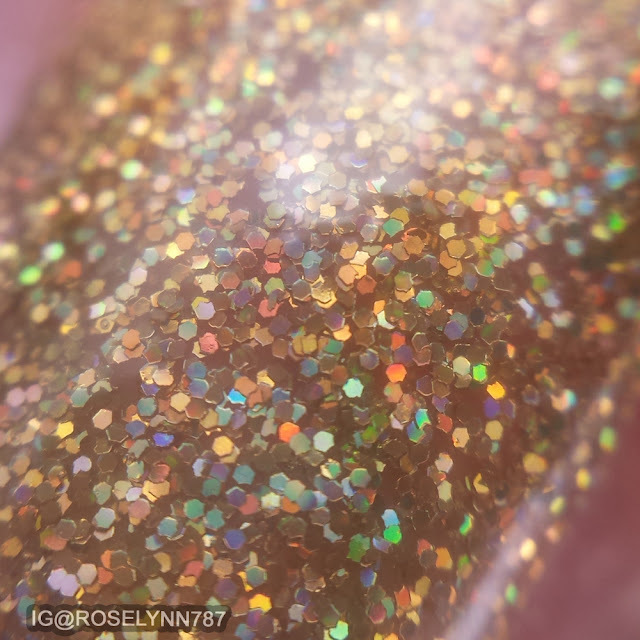 Noelle is a full coverage gold holo glitter bomb. This one is definitely a bomb alright, haha. I was really impressed with the ease of application considering how glitter heavy the formula is. For these swatches, I was able to easily apply two thin coats without having to use the dabbing method. 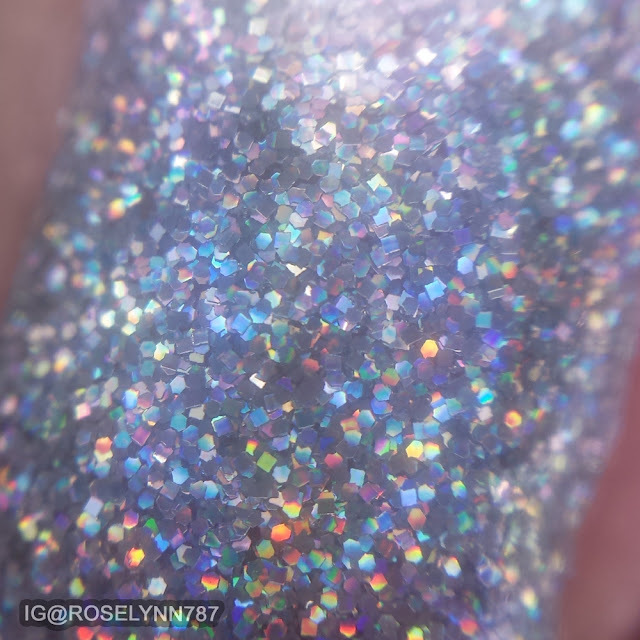 And while this is intended to be a full coverage glitter polish, you can certainly also add this over an undie of your choice. Eve is a silver full coverage holo glitter polish. As her twin sister, you'll find this one to have the exact same formula and application Noelle. There is no different in finish or holo goodness either so it's all a matter of which is your favorite. If you're like me and can't decide, both are definitely worthy of any collection. As Noelle, you can pair this with an undie or simply use it alone with a couple of layers. For these swatches, I used Eve over a clear base coat and applied with two layers. The dabbing method isn't necessary unless you're wanting to use more than two layers in my opinion. And like always, I sealed this glitter bomb in with a glossy topcoat. 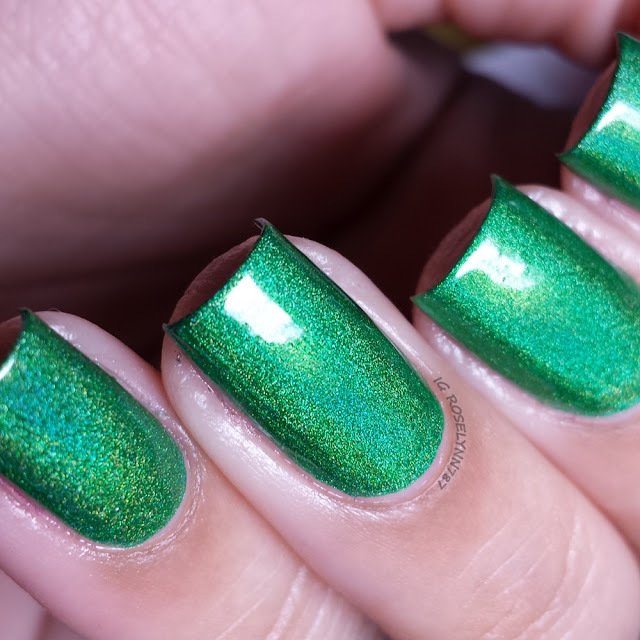 Overall I'm completely head over heels over mistletoe for the holographic portion of Daily Hues Lacquer's Holiday 2014 Collection. Carol and Holly are definitely my favorites amongst these four and my recommendation as must-haves. The holographic finish really makes them stand out and adds a beautiful effect in different lighting. Another great thing about these two is the heavy pigmentation, which makes them easily one coaters. Great for having a quick fab mani and getting your holiday shopping done in a haste. It's also worth noting as well, that despite the heavy pigment, there is no staining for the cuticles or nail beds. Let me know which one is your favorite down in the comments below. And as always, make sure you follow Daily Hues Nail Lacquer for the latest releases, sales, and stock information. Thank you for stopping by :) I returned the love.